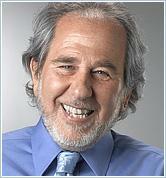 Dr. Bruce Lipton is an internationally recognized authority in bridging science and spirit. He has been a guest speaker on dozens of TV and radio shows, as well as keynote presenter for national conferences. Dr. Lipton began his scientific career as a cell biologist. He received his Ph.D. Degree from the University of Virginia at Charlottesville before joining the Department of Anatomy at the University of Wisconsin’s School of Medicine in 1973. In 1982, Dr. Lipton began examining the principles of quantum physics and how they might be integrated into his understanding of the cell’s information processing systems. He produced breakthrough studies on the cell membrane, which revealed that this outer layer of the cell was an organic homologue of a computer chip, the cell’s equivalent of a brain. His research at Stanford University’s School of Medicine, between 1987 and 1992, revealed that the environment, operating though the membrane, controlled the behavior and physiology of the cell, turning genes on and off. His discoveries, which ran counter to the established scientific view that life is controlled by the genes, presaged one of today’s most important fields of study, the science of epigenetics. Two major scientific publications derived from these studies defined the molecular pathways connecting the mind and body. Many subsequent papers by other researchers have since validated his concepts and ideas. Spontaneous Evolution by Bruce Lipton, PhD Soon you'll be able to leave comments ()! Also, stay Tuned For Our Upcoming Launch: TO ANNOUNCE!